Vulcan® 750 is an economically priced, mid-size cruiser that can hold its own on the boulevard. From its torquey V-twin engine to its chrome-encrusted bodywork to its low-slung riding position, the stylish 750 is an attention-getter, no doubt. 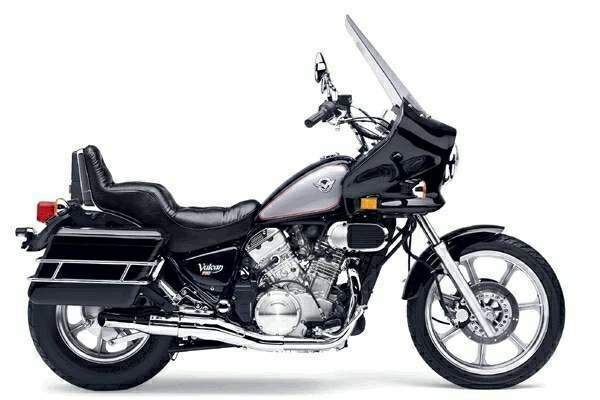 And, because a barrage of touring accessories are available for the bike via Kawasaki’s Fire & Steel™ line, the versatile Vulcan 750 cruiser even passes muster on the touring circuit. Powered by a liquid-cooled, double-overhead-cam 749cc V-twin, the Vulcan 750 is simultaneously powerful and low-maintenance. Hydraulic valve lash adjusters automatically keep the eight-valve cylinders at optimum adjustment, thus eliminating unwanted valve noise. 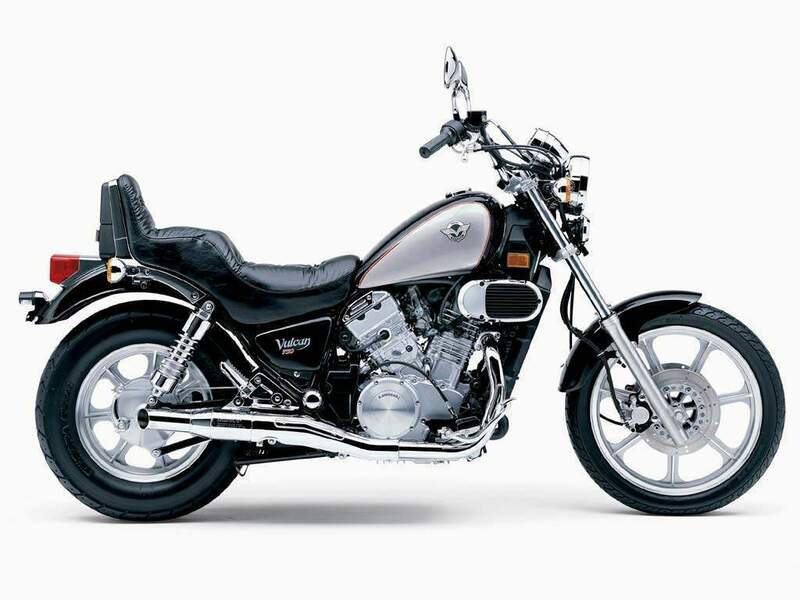 Liquid cooling increases overall engine durability, and the frame-mounted radiator is unobtrusive and doesn’t detract from the cruiser’s appearance. The engine itself is rubber-mounted within the double-cradle, high-tensile steel frame to help stave off vibration at the handlebar and footpegs. A low-maintenance shaft drive conveys power from the five-speed transmission to the beefy 15-inch rear wheel. Plus, the easy-shifting gearbox is endowed with Kawasaki’s exclusive Positive Neutral Finder, which allows for easy and accurate shifting from first into neutral while stopped. Air-assisted rear shocks with four clicks of rebound damping adjustment offer a smooth and controlled ride, while dual front discs provide reliable stopping power. Full instrumentation, including both coolant-temperature and fuel-level gauges, and a centerstand are standard fare.